Space heater recalls and reports of serious injuries and deaths have caused some consumers to wonder whether electric heaters are truly safe to use. Nearly every year since 1999, space heaters have been recalled due to fire, scalding or burn risk. 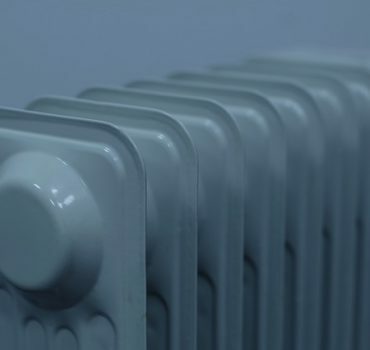 Today’s space heater is designed to be safer and more efficient than earlier models, but this type of heating mechanism does pose a risk to consumers. In general, a space heater is a safe way to heat a small part of a home that suffers from drafts or is otherwise uncomfortable. A rise in the number of recalls for space heaters in recent years, however, is cause for concern. Many units remain on the market for months before they are recalled, exposing thousands of consumers to their dangers before the general public has knowledge of the problems that exist. When a space heater malfunctions, property damage, serious injury, or death can result. Consumer Reports warns that around 25,000 house fires, leading to 300 deaths and 6,000 emergency room visits, are attributed to space heaters. Problems with temperature control may be the common culprit for many defective space heaters. When the temperature control component fails, the units will overheat, which causes the heater’s housing to melt or combust. Anything around the unit will also catch fire. In some cases, users are burned when touching units that have started to overheat. Many personal injury lawyers have seen clients who sustained injuries in this way because they were unaware of the faulty design of their space heaters. There are precautions consumers can take to help protect themselves from injuries caused by space heaters. Consumers should never use a preowned space heater because it may have been damaged or recalled. A three-foot perimeter should be left around space heaters to avoid fire risk. Space heaters should be plugged directly into an outlet, not a power strip. Consumers should choose heaters with optimal safety features like shut-off sensors, sturdy cords, and guards that protect items from coming into contact with the heating element. When the unit is not in use, it needs to be unplugged. Inspections should be performed regularly. When cords are frayed, damaged, or feel hot, space heaters should be replaced. Following these guidelines will help prevent accidents with space heaters.